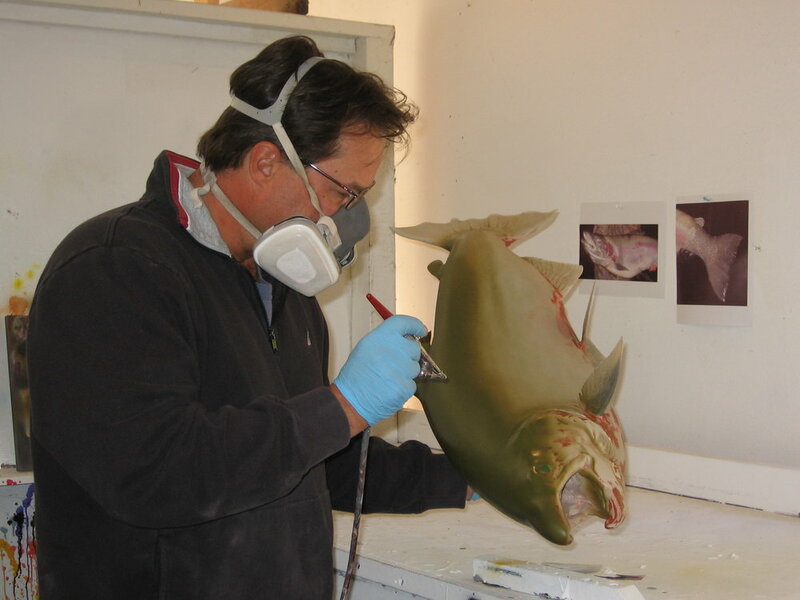 Inspired by a lifetime of angling and countless hours spent fly fishing, fish artist Luke Filmer blends his love of art and angling to create original fish (replica) art sculptures in their natural habitat. Luke lives on the Olympic Peninsula in Washington state. Luke's art has been featured on several television programs in the Pacific Northwest including EVENING MAGAZINE and NORTHWEST BACKROADS (KING5 TV), NORTHWEST OUTDOORS (KCTS9).